I had volunteered for a charity shop and loved unpacking the donations of clothes, shoes, tatty old books, unachievable jigsaw puzzles and castanets from some long forgotten Spanish holidays. I would always enthuse about choosing something ridiculously outrageous for the window displays – accessorising bright clashing clothes with a plethora of beads and bangles! I also remember being slightly irritated when I would wander past the shop the next day to discover that one of the other volunteers had replaced my creation with a more appropriate tweed jacket and fur hat. But I found that I really enjoyed volunteering and continued to seek out new opportunities. I helped at a Brownie group, listened to children read at a local school, helped with teas and coffees and chatted to residents at a retirement home, and offered my services on Christmas day providing meals to homeless people – a truly worthwhile and rewarding experience. Eventually, life took over and I started a career working very long hours to fund the responsibilities of a house and a family and, sadly, some of my volunteering had to give. But what better way to continue to indulge in my passion than by securing a job as a voluntary services manager? This meant I could develop new, exciting and enjoyable roles for others wishing to discover the joys and rewards of volunteering. As Voluntary Services Manager for the Norfolk & Norwich University Hospitals NHS Foundation Trust, I have found a niche that really benefits from the generosity of volunteers. The Trust is made up of a large 1,010 bed acute hospital, a smaller district hospital and several smaller outside units and provides acute hospital care for a tertiary catchment area of up to one million people. Every year our 7,000 staff treat 85,000 day cases, 90,000 inpatients, 100,000 A&E patients and 610,000 outpatients. The work of our hospital staff is supported by 675 volunteers. We have been able to establish roles in wards, clinics, offices, and reception areas and our volunteers have been trained to assist with duties such as befriending, meal time support, way finding, general housekeeping, errand running, making refreshments and gathering patient feedback. They also support our busy staff with simple administrative tasks such as filing, photocopying, envelope filling and making up patient information packs. In addition to our hospital based services we have also set up a community based “settle in service” where volunteers meet patients as they return home on their day of discharge and carry out some simple checks around the home. Duties include making a cup of tea, unpacking patient’s bags, checking the central heating and ensuring there are some basic grocery supplies in the cupboards. Volunteers are trained to identify any environmental hazards and arrange for patients to be helped or referred to other services where necessary who are able to offer on-going support after discharge. The hospital also benefits from the support of many wonderful voluntary support groups and charities, enabling me to fully utilise the amazing range and diversity of skills that our applicants are able to provide. The main reasons people give for NOT volunteering is a lack of time. Most are working every available hour, caught on the treadmill of cash in, cash out and thankful simply to have a job. However, just an hour or two volunteering per week can provide a welcome break from the working world, a sense of wellbeing, an opportunity to try something different while helping a worthy cause. Volunteering is more necessary now than ever. It has been very much in the news since the government’s vision for a “Big Society” and understandably this has also brought with it an element of scepticism from fully trained public sector workers potentially being replaced by volunteers. This couldn’t be further from the truth. The most common reason people give for volunteering is unsurprisingly a desire to help others, and that includes our hard pushed staff as well as our patients. Most volunteers report that volunteering helps them too: many are lonely after losing a partner and want to give back to the nurses and staff who cared so well for their loved ones. Some may have lost confidence after a break away from the workforce and just want some assurance that they haven’t been left on the scrap heap of life. Students volunteer to enhance their prospects of gaining sort after university places and to assist them in making important long term career decisions. And people with learning disabilities or those who have had to face early ill health retirement are often able to provide some basic help for just a few hours per week, rewarding them with a feeling of self-worth and value. Volunteers are not recruited “instead of”, they are provided “as well as” our paid workforce to simply enhance our working environments and to take off some pressure. Volunteers should be embraced. They are an extremely valuable resource with a wealth of knowledge and life skills that if utilised properly can truly make a difference. 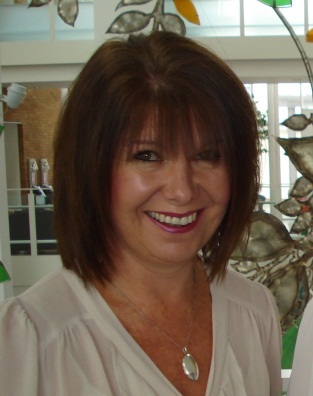 Being responsible for the overall delivery of volunteer services within the NNUH, Sally develops programmes and manages volunteer resources to assist in the delivery of the organisation’s strategy and services. 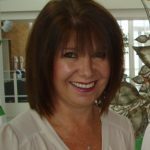 Sally also provides guidance, support and governance to external charities and volunteer support groups to deliver a safe and robust volunteer workforce. Oh, that may be the case in your Hospital, but look what a friend sent me from her local paper about volunteering in her Hospital Trust. ​A more blatant piece of Tory propaganda​ being published in the name of our NHS I haven’t seen for a long time – if ever. Volunteers have traditionally undertaking roles which were supernumerary to the efficient running of a SERVICE, not undertaking tasks which cannot be staffed because of Government cuts. ” … and understandably this has also brought with it an element of scepticism from fully trained public sector workers potentially being replaced by volunteers. No one is denying that is the motivation for many who volunteer voluntarily, not those who do so compulsorily via ”Workfare” schemes tho’. BUT where is your proof that public sector workers are NOT being made unemployed by outsourced contracts placed in the Voluntary and Charitable Sector, and ” …being replaced by volunteers.”? Where is your proof that to maintain their marketability, and under duress, those ”… fully trained public sector workers … ” are not the very ‘volunteers’ who are now doing what was once their paid professional jobs ? They can, but their feet won’t touch the ground as they’re refused anything else and shown the door. Yes – I am a volunteer … are you?. Wonderful to hear about your journey into volunteering at 16; I think starting young might be the secret of life-long volunteering. It would be good to see more schools and colleges having an opportunity to get young people involved in volunteering in the NHS. However volunteering for young people in the NHS should not just be about providing routes into work or career planning, it should be about thinking about ways we can help our NHS and giving back to our local community. So Sally I think your story shows us catch them young and we could have a volunteer for life!